In case you missed it, last week we examined the consequences of the Christchurch shooting – including a growing mass hysteria over security largely created by the Government’s scaremongering to justify its crackdown on gun owners HERE, and our NZCPR Guest Commentator Stephen Franks shared his concerns over the Government’s gun law changes HERE. Every week, through our newsletters, the NZCPR speaks out about public policy issues of key concern to New Zealanders. To maintain our independence we do not seek assistance from the Government, but instead rely on the kind support of readers. Please click HERE to help. If Internet Service Providers wrongly classify our newsletter as spam – you will not receive it unless you have whitelisted our newsletter mailing address: newsletter-bounces@nzcpr.com and my email address: muriel@nzcpr.com. Adding these addresses to your ‘contacts’ list will help, but whitelisting is the only way to guarantee delivery. If your newsletter fails to arrive, the latest edition can be viewed via the Newsletter link on our website. For MP email addresses and other useful links, please visit our Communications page HERE. Please feel free to share our newsletters with your contacts and social media. Anyone is welcome to register for the mailing list HERE. *Poll comments are posted at the end of the main article. “However, there is another equally important reason why enacting UNDRIP as law is a bad idea for Canada. It regards Indigenous people as a collective rather than as individual citizens. 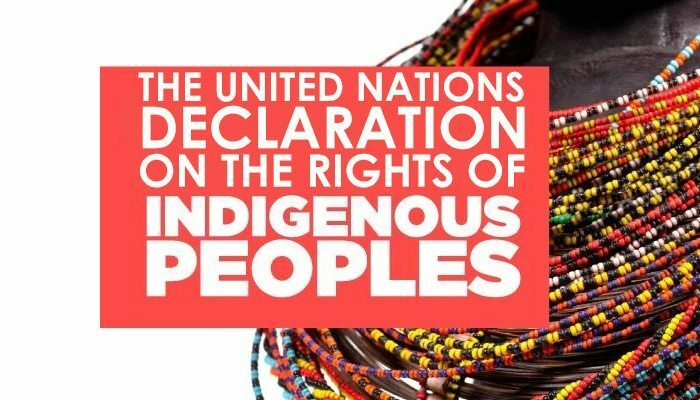 Canada has already made the momentous mistake in 1867 of perpetuating the 1763 Royal Declaration’s outdated concept of looking at Indigenous people as a tribe, rather than as individual citizens, and UNDRIP would cement that backward thinking in place permanently. “There should never have been special reference to Indians in the Constitution – they should have been treated as ordinary Canadian citizens. There should have been no such things as reserves. We have paid the price for the colossal error of singling Indians out for special treatment. As a result Indian reserves have left too many Indigenous people poor, isolated and dependent in an odd communist system. Social pathologies have been the inevitable result. 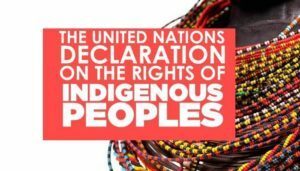 UNDRIP perpetuates that unfortunate mindset that treats Indigenous people as a collective composed of wards of the state instead of treating indigenous people like everyone else. “Make no mistake about it: The Indigenous policy that Canada has followed for the past couple of generations – namely giving ever more money and power to chiefs – has been an absolute and utter failure. It is time to abandon that disastrous policy, and treat Indigenous people as individuals as all other Canadians are treated. Achieving legal equality of for all citizens is fundamental to the ability of this country to be successful. *To read the full article, please visit the NZCPR website. To unsubscribe from the newsletter, send this email – but don’t forget to reply to the confirmation message. If you need help unsubscribing, please email admin@nzcpr.com with “REMOVE” in the subject line. not your current one, and we will need to search for that. subject line, advising the new address to be added and the old one to be removed.